A shed is a very important thing. At least it is to me and I suspect many other men and women. We have been fairly lucky with the floods and up until recently it has just been a seasonal issue. There are many people worse off than we are. At least our house does not flood. Our flood problems will be fixed with a wall and perhaps some improved drainage. For the last couple of Winters the floor of my shed has got damp and more recently got a shallow river of water flowing through it. 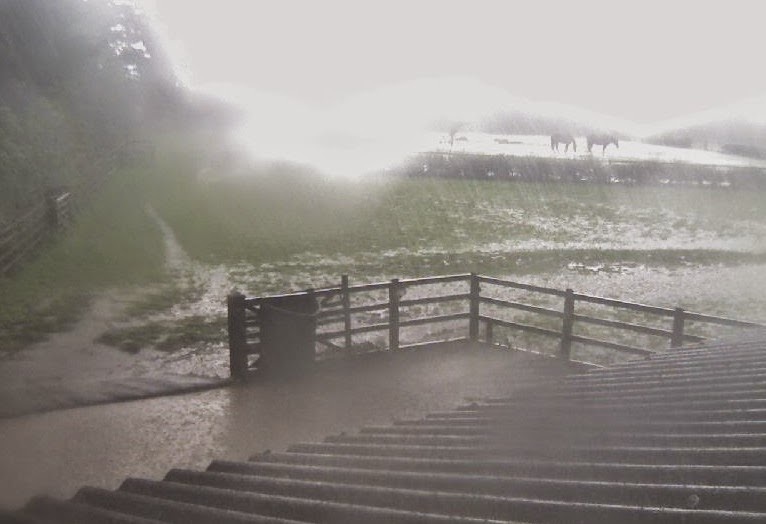 Having water flowing through the shed in the summer was a bit of a shock. 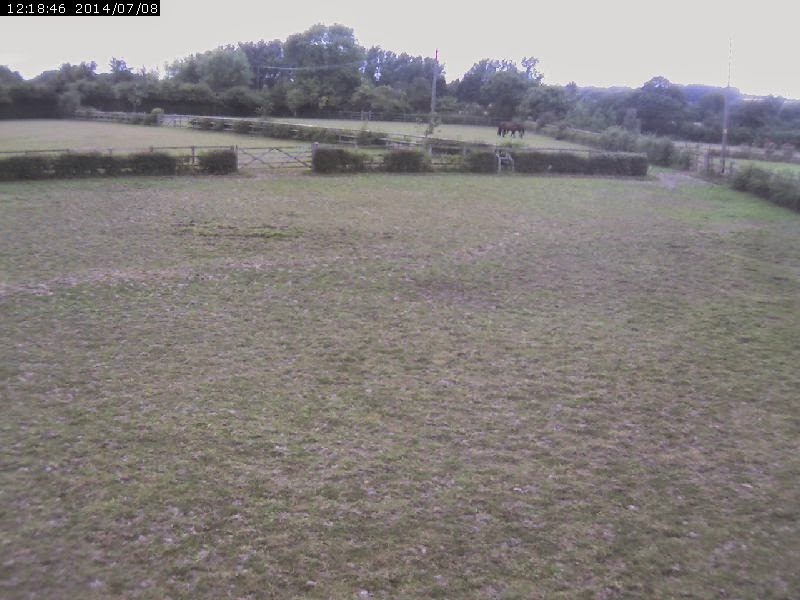 I don't have any pictures inside the shed while it was raining but here are what the fields looked like next to the shed. 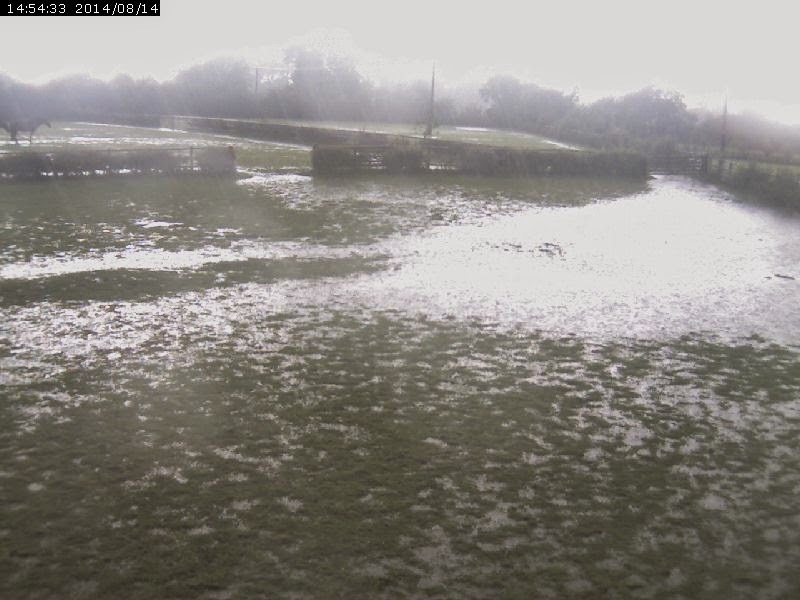 The first picture shows what the field normally looks like. This next picture shows how it looked with the sudden heavy downpour in less than 20 minutes. And as it was coming down a few minutes before! Shelley and I ignored the river because it only happened after those rain showers that the weather forecasters said would only happen once in 1000 years. 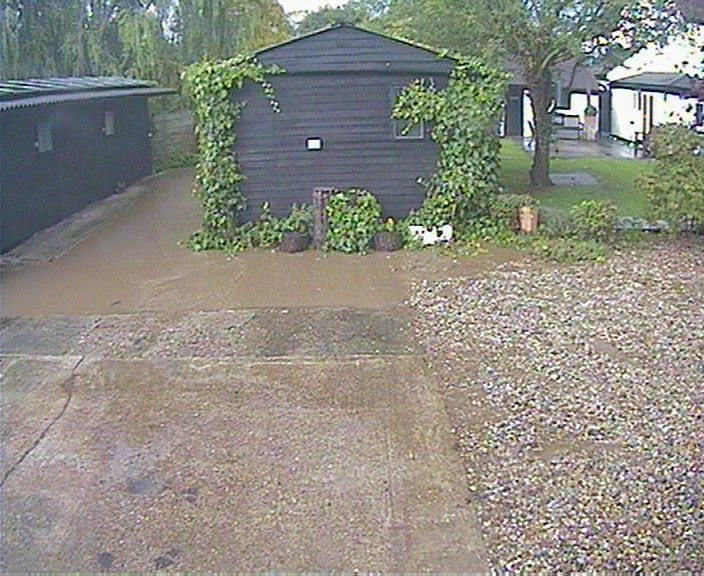 This most recent 'once in a 1000 year flood' left a 4cm tide mark inside my shed and orange clay residue everywhere! The garden path and yard were worse. The shed is raised on a 4 inch concrete plinth with 3 inch bricks round it! An inch and a half tide mark that high up is a lot of water. I had to pour water out of my socket sets that sat on the floor. Luckily after the previous river I had put anything that could get damaged by water raised up on blocks of wood. It's not clear in the above picture of the side of the shed but there is a step down in to the yard in front of the sheds so that water is over 3 inches deep. The main cause of the water in the shed is that it is lower than the garden and the water flows over the lawn and hits the back of the shed. I already knew it was rotting the back of the shed so the decision to have to dig out round the shed and do something about it did not come as a surprise. My brother-in-law had a previous problem which flooded his house. The solution was to build a retaining wall that diverts the water away from his house. 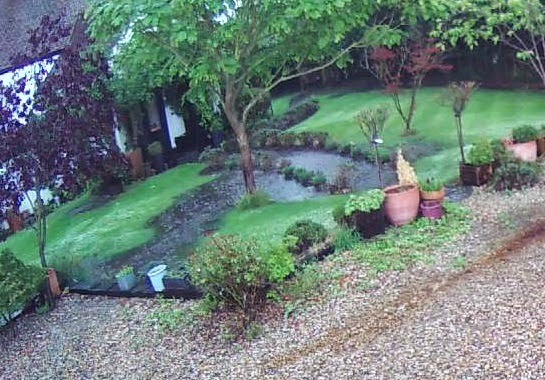 He was very pleased he had done that before this rain as he did not have a problem this time. We decided to do the same for our shed. We have never build a brick wall before but have laid a few bricks from time to time and seen it done a lot. Shelley was knocking up mortar for her granddad, a builder, almost as soon as she was able to hold a shovel, so we were confident we could do the job. I ordered some very heavy blocks for the wall as it needed to hold back the soil from the garden and any flood water. 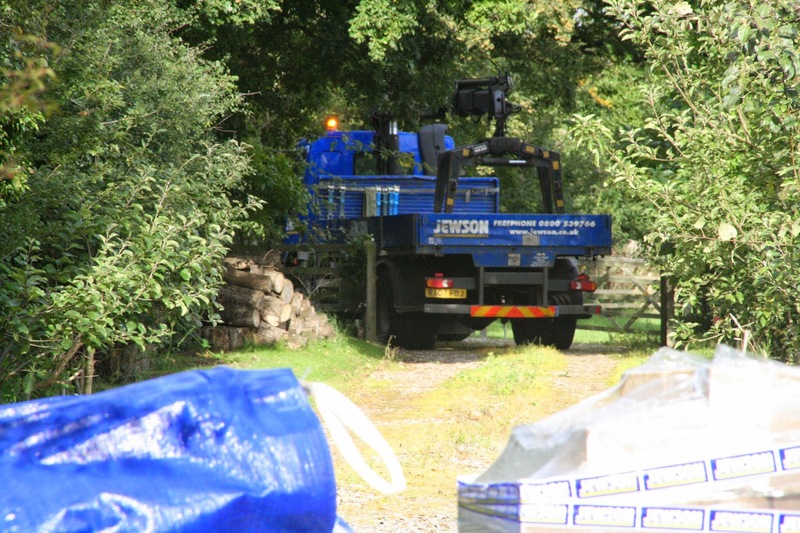 The Jewson lorry driver did an excellent job getting his 17.5 ton truck down our drive way to unload. He was the first driver of that size lorry to be up for the challenge. Prior to that the biggest lorry had been a 7.5 ton and other larger lorry drivers had said they would not fit. We cleared all the roots away from the back of the shed over the bank holiday weekend. We were therefore ready to dig out and form a shallow foundation for the blocks. We got the foundation dug, repaired the rotten back of the shed and one layer of block done on Saturday. The blocks are heavy and where possible both of us had to lift each block in to place. The remaining three layers of blocks we put down on the Sunday and all the joints pointed. Shelley's granddad would have been proud of the mortar she mixed up. It's very nearly straight and it is level. 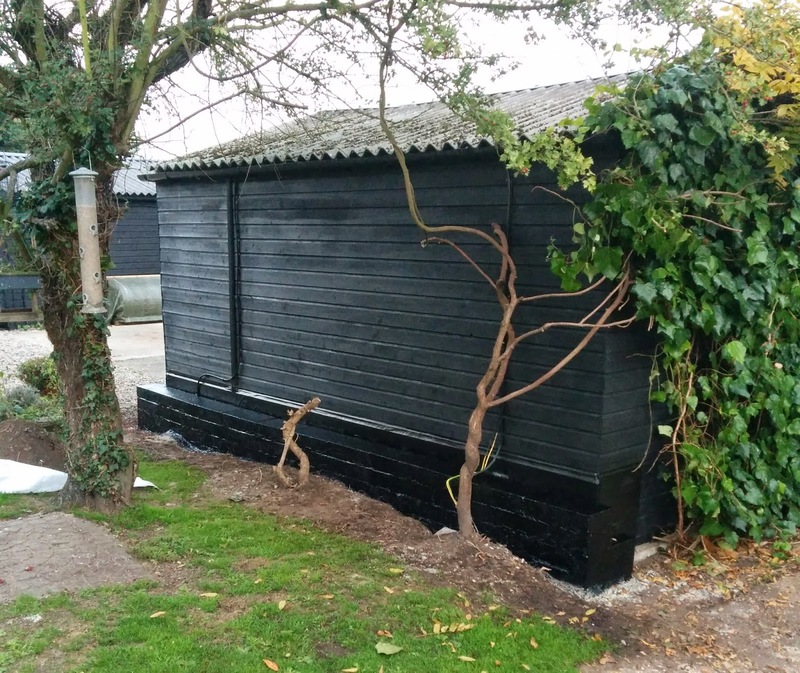 By Monday night the mortar was dry enough so Shelley decided to paint it black. In a couple more days we can level the ground putting the soil up against the wall and I can finish tidying up the electric cables that we had to work round. For our first attempt at a wall we are very pleased.